DESPITE all the challenges you face, if you are passionate and are committed, you will make it. Keolebogile “Lebo” Sebogodi (31) is a researcher at the Council for Scientific and Industrial Research (CSIR). The final-year PhD student is looking for ways to turn industrial waste into products of value. She is currently working on ways to recycle pulp mill waste. Sebogodi, from Lobatla Village in the North West, earned a Bachelor of Science degree in biology and chemistry at the North West University in 2005. But to get her degree, she had to overcome the hurdles many other first-year students face every year. University was so strange to her that she couldn’t adapt and failed her first semester. It was the first time she’d experienced academic failure in her life. Although the second semester went much better, she could not progress to second year until she earned the required credits for her first semester. But she was not discouraged. She simply took four years to finish her three-year degree. She went on to earn a Master’s degree in chemistry in 2013. With her MSc, Lebo decided she needed a change of pace and looked for new opportunities. 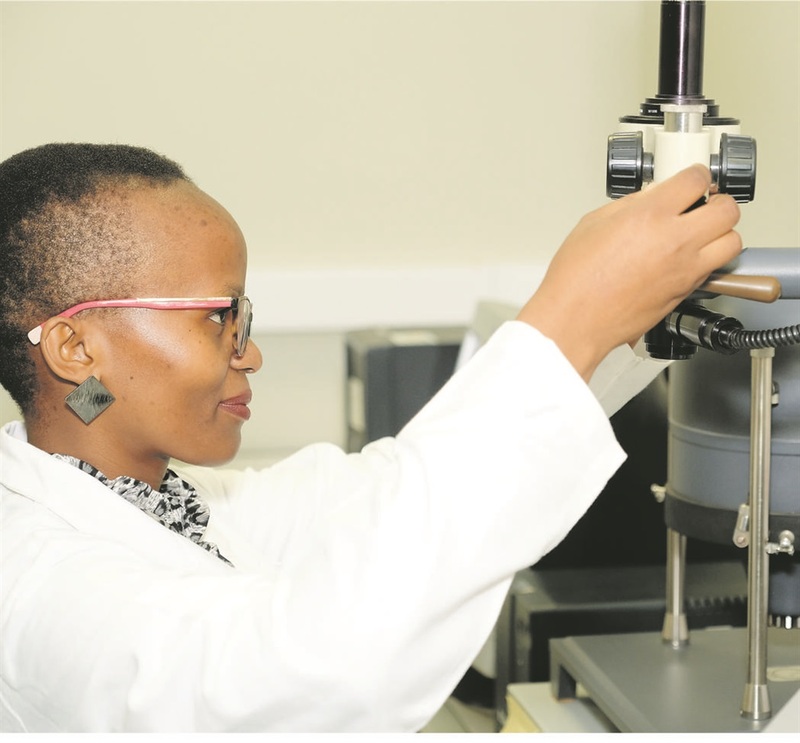 Her search landed her a job at the CSIR Biorefinery Industry Development Facility in Durban. The CSIR biorefinery supports a number of research options including forestry, agroprocessing and other biomass-based fields. She is currently working on a way to use green liquor dregs – the waste product of pulp paper mills – in the treatment of acid mine drainage. Lebo’s goal is discovering a way to make the dregs bind or neutralise the harsh acidic chemicals in poisonous mine waste before it contaminates rivers and ground water.